Today is #GivingTuesday, an international day of giving. As part of our year-end giving campaign, we ask you to consider two ways to support our efforts TODAY! Thank you for continuing to support Omaha Healthy Kids Alliance! 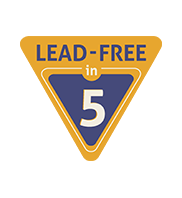 Learn about the Lead-Free in Five campaign!